Bring out a sweet wine this Christmas! I’m a huge fan of sweet wine. When I say sweet wine I mean proper, high quality sweet wine and luckily for me, we live in the Loire valley which makes some of the best sweet wine in the world. Many of you will be reading this and disagreeing with me. ‘I don’t like sweet wine’ I hear you say. I don’t understand it. You like to eat dessert right? Great sweet wine is one of life’s pleasures. 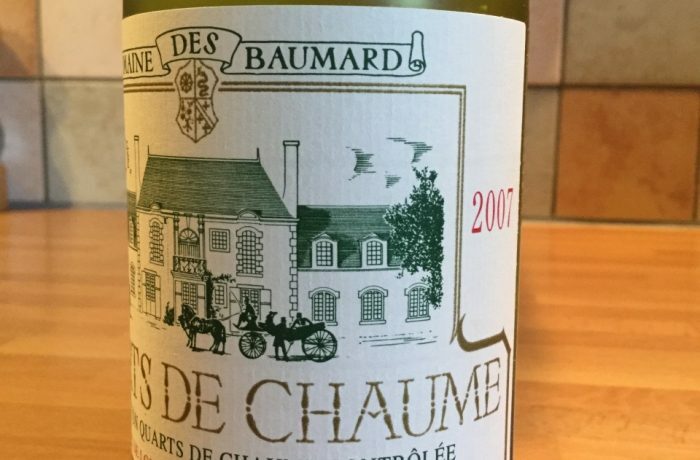 We opened a half bottle of Florent Baumard’s Quart de Chaume 2007 this weekend and it was just heavenly. 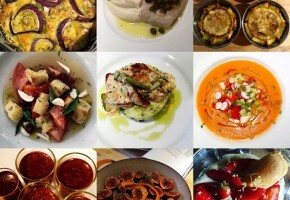 I served it alongside a lemony dessert, something between a lemon trifle and a tiramisu. It went pretty well but in fact the star of the show was the wine and it got me thinking. At Christmas when you’ve eaten as much as your poor stomach can take, skip dessert and sit quietly sipping a glass of something like this. It is dessert! Not convinced? Then head over here to the Loire and come and see us. I love a challenge and I’m sure I can persuade you. 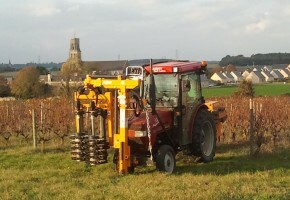 What’s going on in the Loire valley vineyards in November? This year it’s been mild and the leaves on the vines only really started to fall recently after we had a couple of days when the temperature dropped below zero. From the 1st May until the 31st October 2018 Chateau des Vaults (Domaine du Closel) is open every day, 7 days a week for visits to the park, vineyard and tasting room. 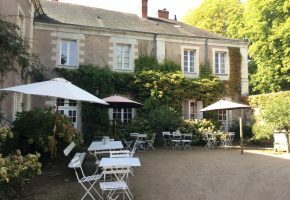 In the centre of the pretty village of Savennières, Chateau des Vaults makes fine white wines from the Chenin Blanc grape. 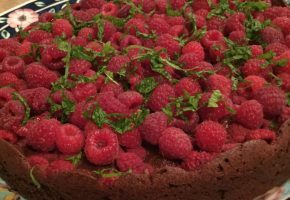 I’m calling this a squidgy chocolate raspberry dessert rather than a cake because there is no flour and it’s something you would serve as dessert rather than with a coffee in the morning or cup of tea in the afternoon (not that you couldn’t of course because it’s delicious!). Life is too short to involve too much sieving and whizzing and the best things are made using fresh, local, seasonal ingredients. 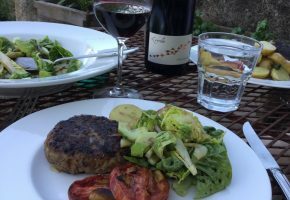 As it’s been warm enough to eat outside this week we enjoyed a simple dinner of home made burgers, roasted garlicky plum tomatoes and a fresh green salad. L’Envolée from Gérald Vallée was our wine of choice. 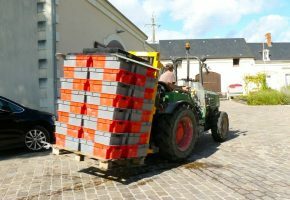 The Loire harvest 2018 has begun and vintage is now in full swing. First to be given the go ahead were the Chardonnays destined for sparkling wine, Sauvignon Blanc and Pinot Noir.